Meningitis is an inflammation of the meninges, or the membranes that cover the brain and the spinal cord. Viral meningitis is the most common type of meningitis, and it is rarely serious. Bacterial meningitis is far more serious and may be caused by several different bacteria, including Streptococcus tigurinus. This bacterium has also been identified with endocarditis and spondylodiscitis. A study published in the “International Journal of Systematic and Evolutionary Microbiology” surmised that Streptococcus tigurinus could access the blood stream through inflamed, irritated gums. Oral bacteria have also recently been implicated in heart attacks, strokes and pregnancy complications. Improved dental hygiene may be able to help keep your gums healthy and reduce your risk of bacterial meningitis, which can be fatal. Brush your teeth twice a day or after meals using a soft-bristled toothbrush and fluoride toothpaste. Spend two minutes brushing all surfaces of your teeth, and then floss your teeth to remove debris and plaque from between your teeth and along your gumline. 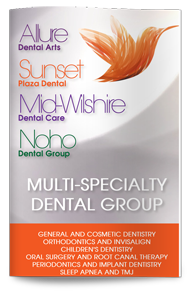 Daily dental hygiene can help reduce your risk, but regular visits to our dentist in West Hollywood are also important. These checkups give us an opportunity to clean your teeth, including the hard-to-reach areas that are prone to tartar buildup. Our dentist will also examine your teeth and gums for symptoms of gum disease. Early diagnosis of gum disease can help prevent many complications of the condition, and prompt treatment can reduce the risk of bone, tooth and tissue loss. Contact our dental office today to schedule your next appointment.